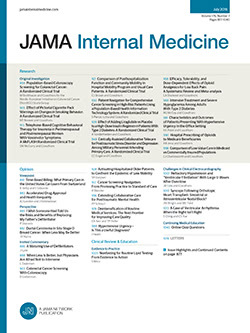 To the Editor In a Perspective in a recent issue of JAMA Internal Medicine,1 Dr Albert describes a vulnerable elderly woman who developed dysphagia for liquids after hip fracture repair. A temporary nasogastric tube was promptly placed. When dysphagia persisted, discussion turned toward permanent tube feeding. Nothing is presented to explain why this patient suddenly developed dysphagia. Recent intubation, narcotics for pain, other new medications, and being fed by strangers while recumbent are candidate causes, and all are reversible.